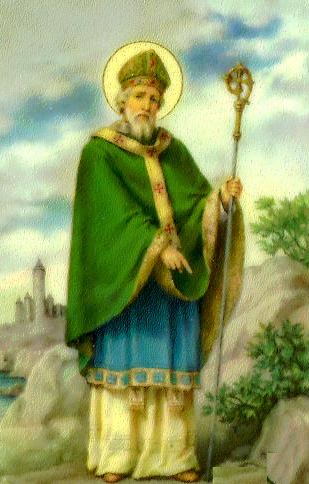 Have you ever wondered why we celebrate St. Patrick's Day? Who was St. Patrick anyways? I'm glad you asked. In my devotional reading this morning, here's what I came across at www.commonprayer.net. At the age of sixteen Patrick was kidnapped from his home by Irish marauders and taken to Ireland, where he was sold as a slave to a chieftan and forced to herd livestock. After six years of slavery, Patrick escaped to his native Britain. Because he believed that his captivity and deliverance were ordained by God, Patrick devoted his life to ministry. While studying for the priesthood, he experienced recurring dreams in which he heard voices say, "O holy youth, come back to Erin and walk once more among us." He convinced his superiors to let him return to Ireland in 432, not to seek revenge for injustice but to seek reconciliation and to spread his faith. When he was not engaged in the work of spreading the Christian faith, Patrick spent his time praying in his favorite places of solitude and retreat. And that is why we celebrate St. Patrick's Day.